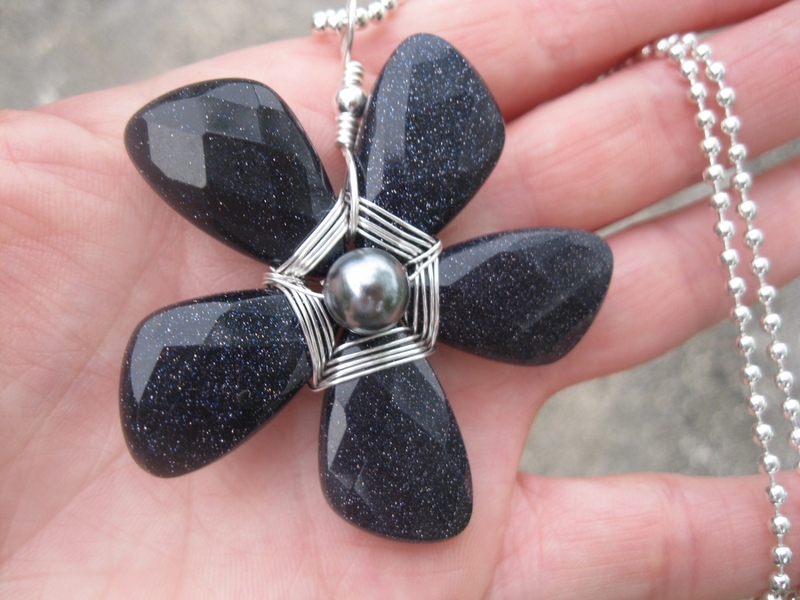 This lovely flower pendant is crafted using fancy cut faceted Blue Goldstone teardrops, weaved together in perfect harmony, finished with a steel blue glass pearl. 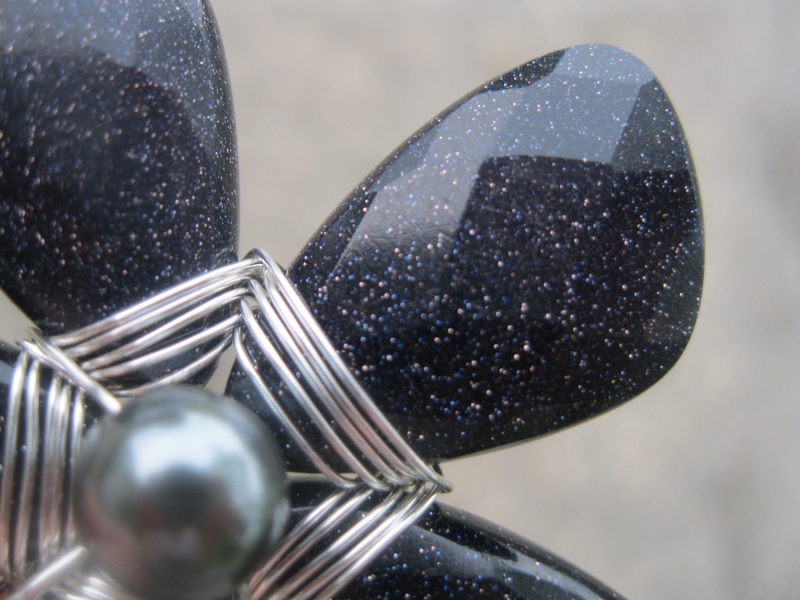 I use silver-plated non-tarnish Artistic Wire for the weave and bail. 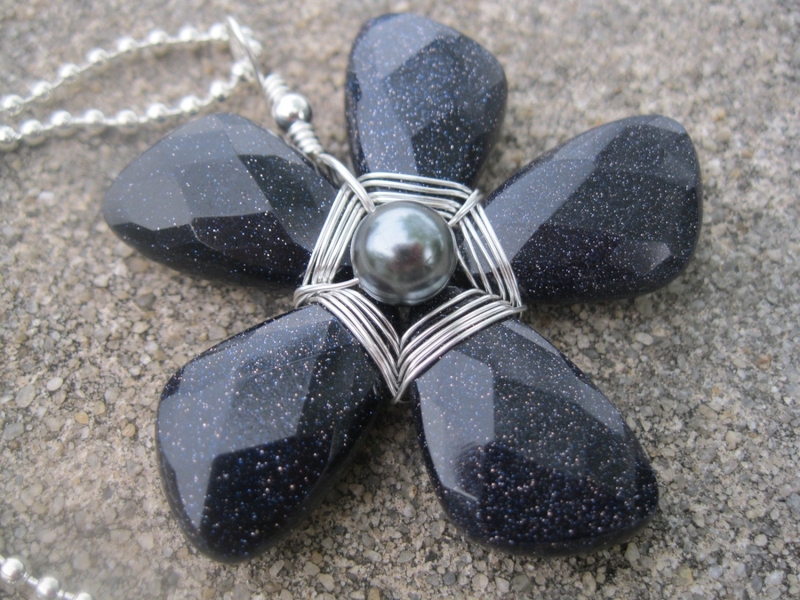 The silver-plated ball chain can be cut to whichever size you'd like, up to 24 inches. 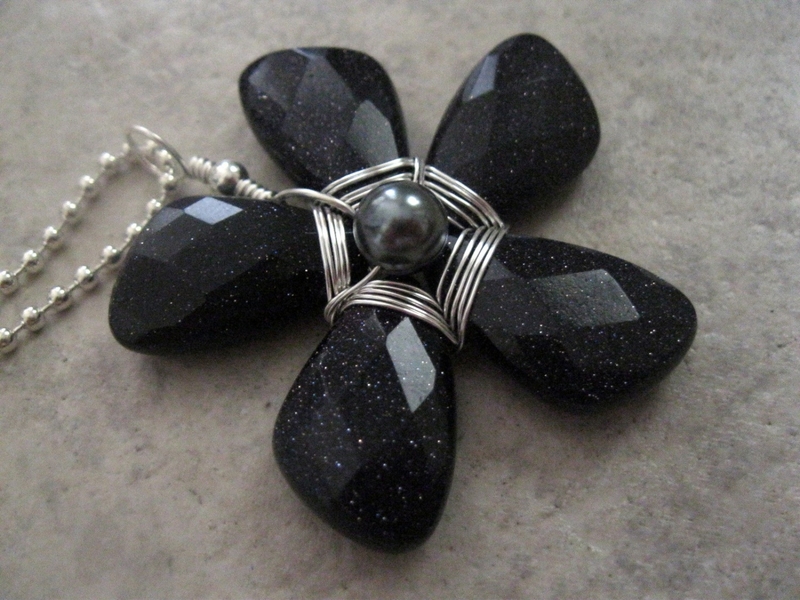 This pendant necklace will be made to order and promptly shipped.